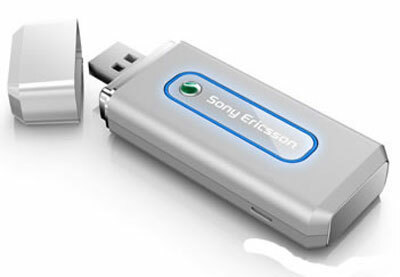 Sony Ericsson Introduces the MD300 USB Broadband Modem | OhGizmo! By Shane_McGlaun on 11/07/07 • Leave a comment! Sony Ericsson announced its first USB mobile broadband modem called the MD300 recently. The coolest part about this modem is that it has high speed data download capability and can operate on multiple frequencies around the world. The MD300 operates on HSDPA/UMTS networks at 850, 1900, and 2100 MHz and the modem also operates on EDGE/GPRS networks at 850, 900, 1800 and 1900 MHz. Compatible operating systems include windows 2000, XP, Vista and Mac OS X. The MD300 also has 128 MB of internal memory that is user accessible and has the drivers and software needed pre-installed. The device will be available in Q1 2008 in black or silver colors at an undisclosed price.